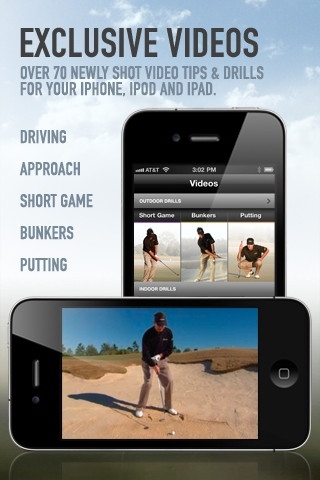 If you are one of the many golfers with an Android smartphone or iPhone and you have started using some of the top golf apps available, then you may wish to have a look at Golfplan with Paul Azinger by Shotzoom Software. Azinger, America’s last victorious Ryder Cup captain, has endorsed this product (as outlined in the video below) and he believes that it can help golfers of all abilities practice the areas of their game that need it the most, by identifying the weakest parts of their game (by using Shotzoom Software’s other app, Golfshot) and then working productively on these areas using Golfplan. Does it work? Read on to find out! What is Golfplan with Paul Azinger? Golfplan with Paul Azinger is the latest golf app from Shotzoom Software who brought you the popular and well regarded Golfshot app, which is one of the top Golf caddy / score recorder and game analysis apps available on the market today. While Golfshot is a fantastic app for keeping track of your score, analysing your game and providing you with a clear statistical analysis of your game so you know where to improve, Golfplan takes over from there, allowing you to directly import your data from Golfshot. Once imported, the software will then analyse your game and your score, to give itself an idea of your level of ability and will then be able to provide hints, tips and even videos from Paul Azinger himself, allowing you to focus on the areas of your game that are letting you down. In essence, Golfplan is a teaching-tool but it is a very personalised one. The software cleverly analyses your game and detects where you are dropping shots on the course and why. It can even identify if certain shots or clubs in your bag are causing you problems and provides you with simple, clear instructions on how to go about fixing this problem, which you can then put into practise at first on the range and then eventually next time to head to the course. There were several features that we liked very much about Golfplan and the first of these and the most important, in our view, is the fact that this is compatible with Golfshot. If you use Golfshot to keep a track of your game, then you’ll have a valuable data set there which dissects all aspects of your game. Using Golfplan with this data really unleashes its usefulness for the golfer and personalises the app so that only the exercises relevant to you, which will ideally improve your game, are shown. The hints and tips given in the text and in the videos by Paul Azinger are also very clearly expressed. Even some of the more complex shots and golfing terminology is well-explained so that even a relative newcomer to the sport with a high handicap, will have few problems in understanding what is required of them. The videos are also excellent quality and clearly illustrate the key teaching points and what you need to look out for. There are also some great, unusual tips, included in the app that go beyond the technical and allow the golfer to use things as diverse as their shadow, to improve aspects of their game. The only drawbacks with Golfplan is that it can get a bit repetitive if used continually and you continue to struggle with an aspect of your game. Watching Paul Azinger in the same video time and time again does get grating at times and of course, you have no feedback from the changes you are making to know if what you are doing is correct or not. Perhaps a later version will come up with a comparison tool where you can compare your swing with an “ideal” swing? Does Golfplan do away with the need of help from a trained golf professional? Well no, it doesn’t. It cannot offer the level of feedback about your swing, stance etc that a trained pro can do but what Golfplan does offer, when used in conjunction with Golfshot, is a comprehensive analysis of all aspects of your game and the opportunity for you to improve them. It does rely heavily on the user putting in the effort to add these stats to Golfshot in the first place, but if you do then the effort is well worth it. Golfshot and Golfplan are two apps that are well worth their respective price tags (£20.99 and £2.99) and I would argue that while Golfshot is certainly the more technologically advanced, Golfplan with Paul Azinger offers the better value. I would not, however, recommend Golfplan unless you do use Golfshot on the course as its most meaningful features are only accessible if you have used Golfshot to collate your golfing data. As a continual evaluative tool, Golfplan is very useful when practising on the range, helping you to focus on aspects of your game that need it the most, using practise drills that top PGA Tour Pro’s have used over many years with great success. 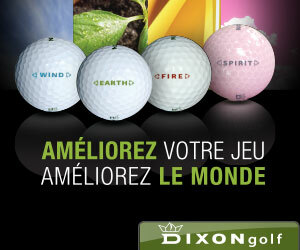 Images Courtesy of Golfplan Website and iTunes Download page. Thanks for the review, Tommy. I’ve also been a big supporter of your stats driving your areas of practice. I am planning on checking out GolfShot and GolfPlan. Hopefully they are simple and easy to use on the course. Too much distraction from electronics affects my game. App review is very difficult process and I appreciate your effort for provide useful information.I recently visit one Iphone App Some website is very useful which is giving such data. We know what you mean – but we think it’s important ot keep up to date on the Apps as they are more and more used and in demand. Thank you – please send us any information on apps you’ve found interesting. App listing from Alphabetically sorted to Recently used and vice-versa. Your valuable review/feedback/suggestions are most welcome. This is the best app for android mobile…Its very fast & easy to use……….